With its second season having been confirmed for over a year now, fans of the Dan Harmon-created Adult Swim show Rick And Morty have been anxiously awaiting the series’ return. 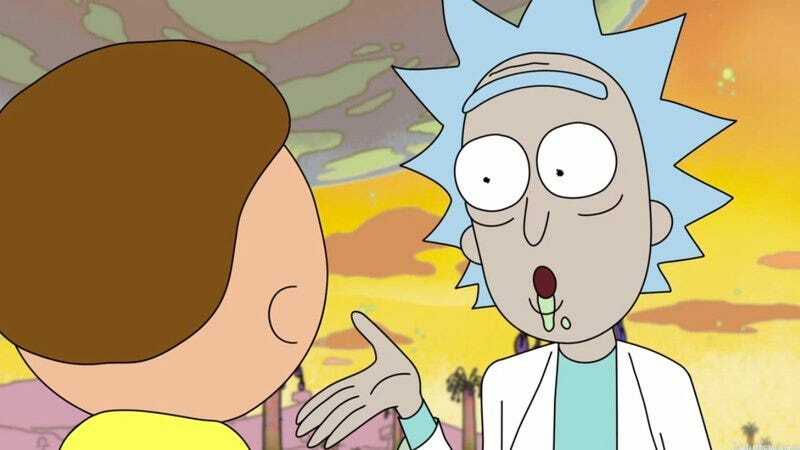 Though the show is supposed to come back this summer, fans have had to get their fix of Rick Sanchez’s belches in ways that don’t just involve re-watching season one over and over again. One such fan is Benjamin Roberts, who created a Rick-ified performance of Eminem’s “Rap God” from 2013’s The Marshall Mathers LP 2. According to a comment from Roberts on the video’s YouTube page, it took over 100 hours of editing and synching to make the Rick And Morty performance of “Rap God” possible. It’s the type of devotion one would expect to see from fans of Harmon’s shows, especially given that somewhere out there a Rick And Morty devotee is probably housing a billboard in their garage.